This Classic Dali features a leather toe and heel in Taupe, crossing red ribbons on the toe and elastic strapping to keep the shoes snug on your feet. This style is easy to slip on and rush out the door in style. 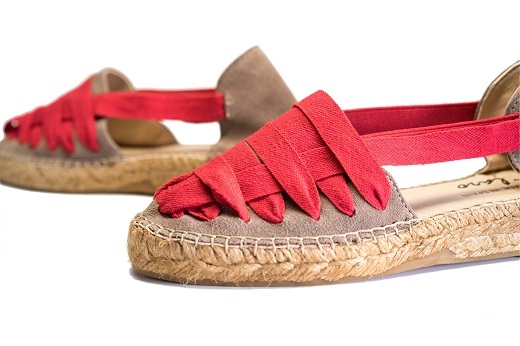 With a thicker sole than our Classic Low, the Classic Dali is our closest espadrille to the beloved design of the original spanish style. 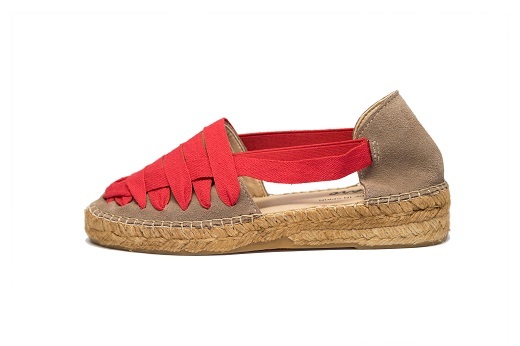 This Laro espadrille is handmade in Spain with high quality leather, a traditional jute sole and vulcanized rubber bottom sole.